SourceSourceThis was the first direct British tax on the colonists. It lead to mayhem in the colonies. All this was to be a major cause of the Revolution: taxation without representation. This act forced colonists to buy a British stamp for every official document they had. 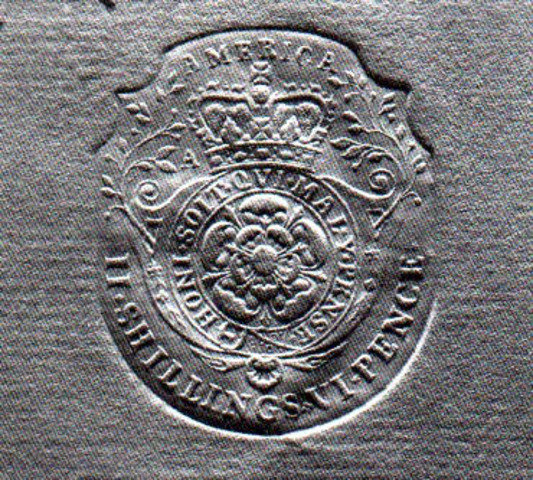 The stamp had a Tudor rose thtat was framed with "American" and "Honi soit qui mal y pense". This means "Shame to him who thinks evil of it'. SourceSourceKing George wanted to keep an eye on the colonists and decided to use his soldiers as spies. The Quatering Act required colonists to provide housing and supplies for British soldiers. SourceSourceSourceThis was called the Virginia Stamp Act Resolutions. 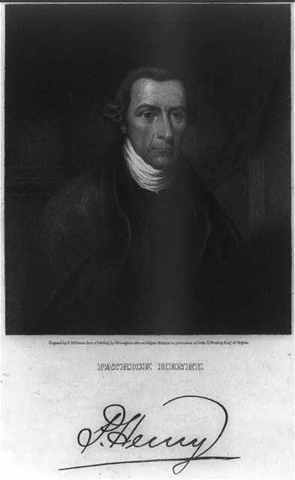 Patrick Henry was a member of the House of Burgesses. Going against Parliament, he proposed seven resolutions against the Stamp Act. Not all were passed at all or right away. Five of the resolves were passed by the House of Burgesses by May 30. 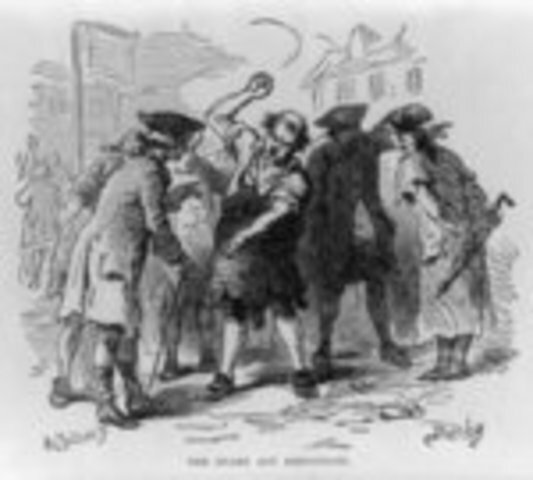 SourceSourceSome members of Parliament wanted the army to help enforce the Stamp Act. Others thought the colonists were brave to resist the tax since they were not represented. 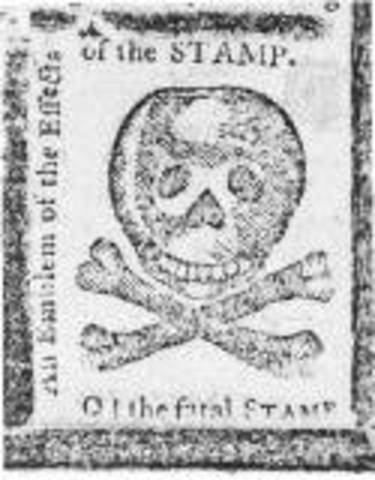 The British Parliament repealed the Stamp Act. 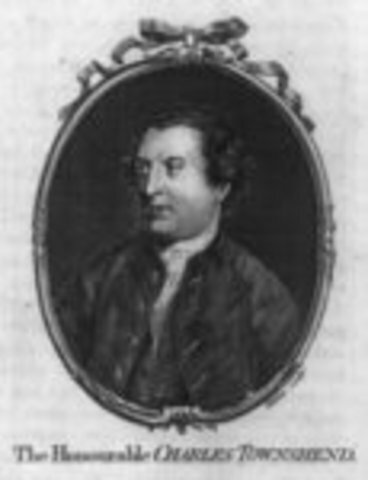 SourceSourceSourceIt was originated by Charles Townshend and passed by the English Parliament. To help the government with its expenses, the Townshend act was passed, which collected income from colonists by putting taxes on imported glass, lead, paint, paper, tea, etc. 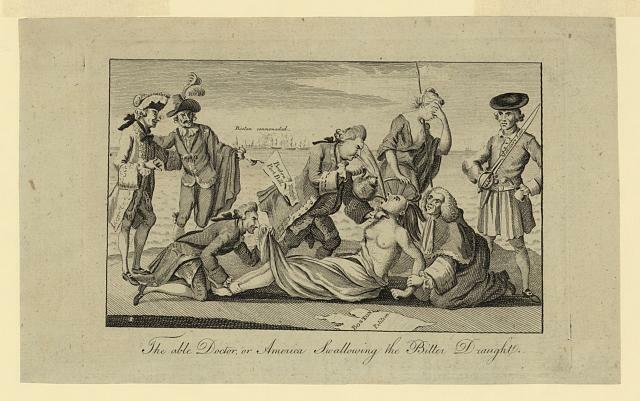 SourceSourceThe tensions between the colonists and the British led up to the Boston Massacre. 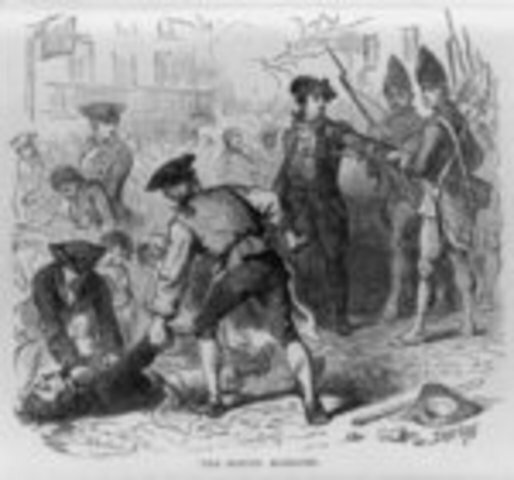 Troops arrived in Boston and conflict arose. A few soldiers opened fire, killed three, and wounded two. It was a violent uprising. The soldier were tried for murder, but were just blamed for lesser crimes. SourceSourceThe colonists were boycotting against British goods, so the profit was low. They needed to make more money, so Parliament decided to take away all the taxes except for the taxes on tea. SourceSourceThe colonists did not like the tax on tea and other goods. One night a group of Boston colonists dressed up as Indians. When they got to one of the tea boats, they threw barrels of tea off the ship into the water. They dressed up so the Indians would be blamed. SourceSourceSourceThe Coercive Acts (Intolerable Acts) were a set of acts to mainly punish Massachusetts after the Boston Tea Party. These were the Boston Port Bill, Administration of Justice Act, Massachusetts Government Act. 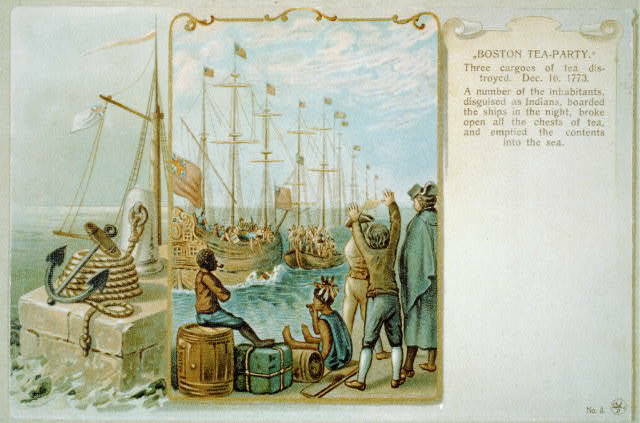 They banned unloading/loading of ships in the Boston harbor, offered protection to royal officials in Massachusetts, and put the election of most gov. officials under British rule. SourceSourceParliament added on to the Quartering Act by stating that British troops could now be quartered in any occupied home. The colonists did not have as much freedom anymore. SourceSourceThis meeting took place in Philadelphia. 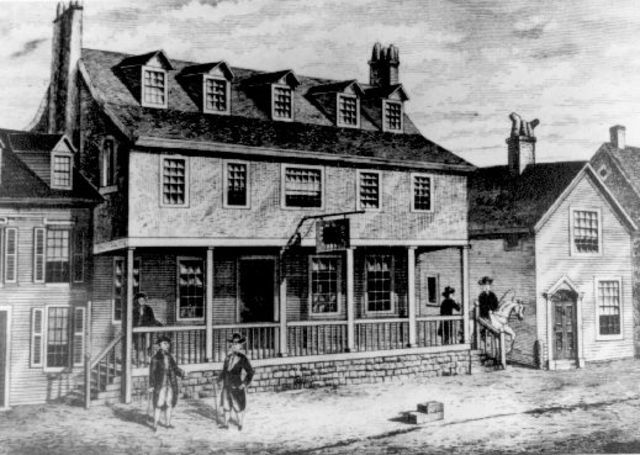 Fifty-six delegates from 12 of the 13 colonies attended the First Continental Congress. There were no delegates for Georgia. 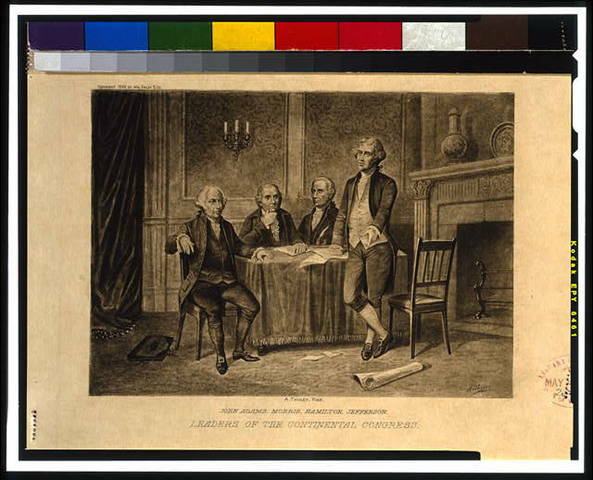 The First Continental Congress set up a system called Association of 1774. The Associaton was to persuade colonists to not use British goods, and form groups that would spread the word. SourceSourceThis took place in Philadelphia. While the Redcoats were storming Boston, the Second Continental Congress was taking place. Their big question was how to face the military threat of the British. They agreed to create the Continental Army, make Washington the supreme commander, and print paper money to pay for supplies. 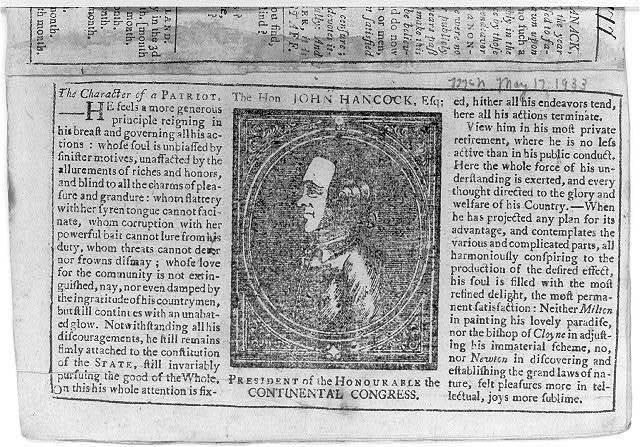 John Hancock was elected the president of the Congress. On July 5th, they adopted the Olive Branch Petition. 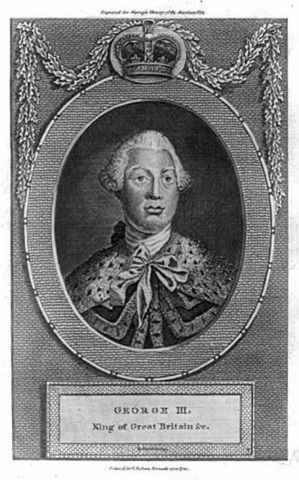 SourceSourceSourceOn July 8th, the Olive Branch Petition was sent to King George III. It declared their loyalty to him, and their wishes to reestablish a relationship and prevent more fightings/disagreements between colonies. The King rejected their petition four months later. He said that the colonies were in rebellion. SourceSourceA committee was appointed to draft a declaraction of indepence. Thomas Jefferson wrote the final document. 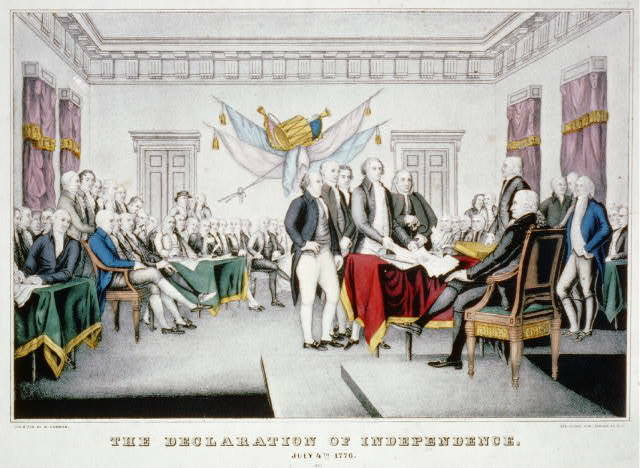 On July 2nd, Congress voted for approval of independence. On July 4th, the Declaration of Independence was approved. It was signed by the delegates frome each colony. The most popular signature is the one of John Hancock. Copies of the finished document were sent to each colony for them to be read publicly. Acontecimientos Importantes En La historia De Las Computadoras.